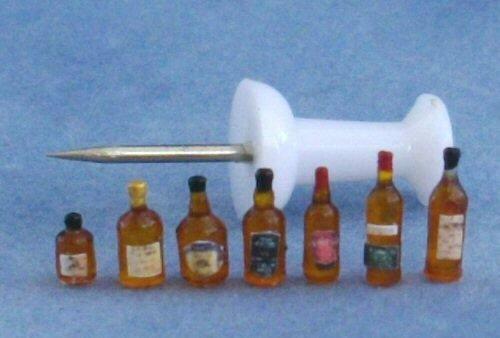 Tiny 1/48th scale whisky bottles. 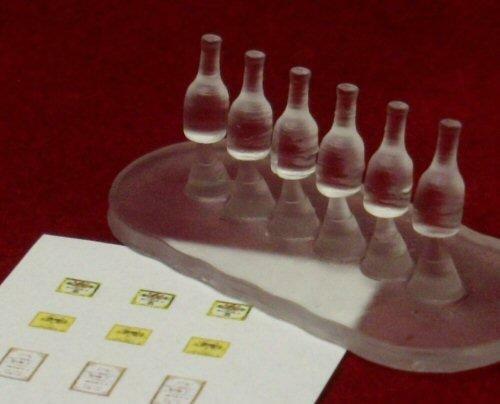 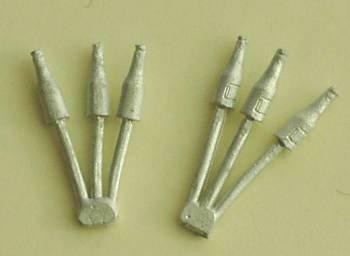 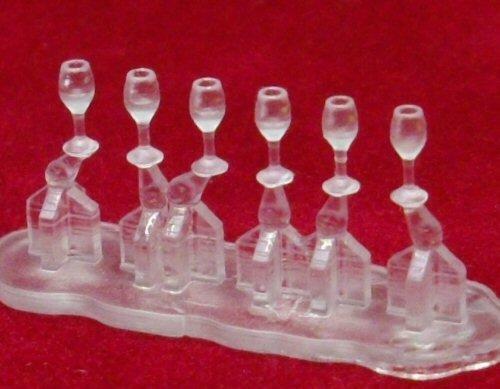 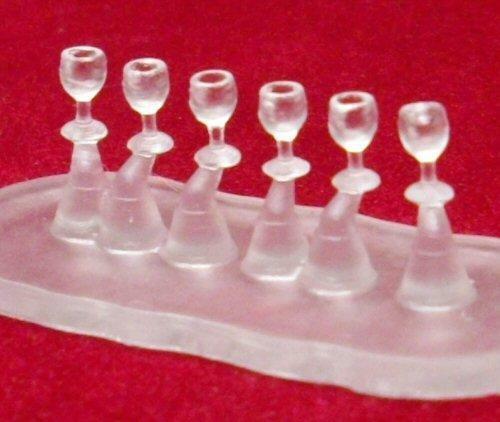 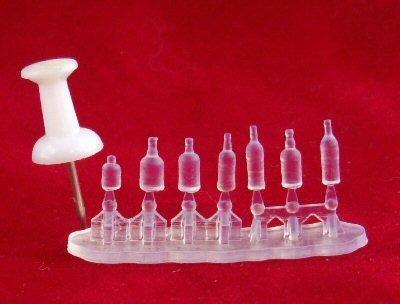 The 7 miniature bottles come unfinished on their sprue to make it easier for you to paint with glass paints. 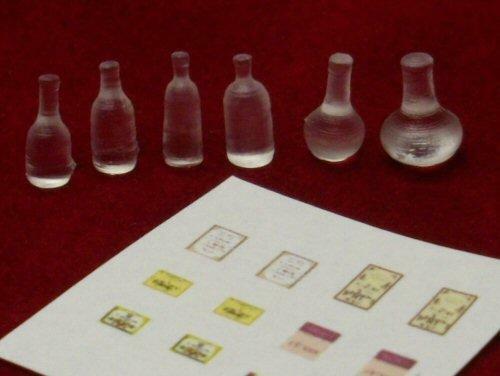 The bottles also come with labels for that finishing touch. 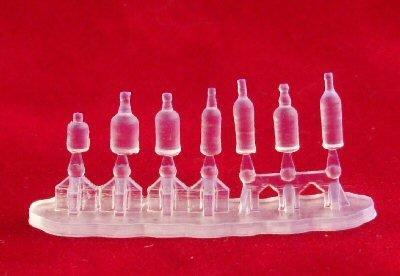 Bottles range from 3mm to 8mm tall. 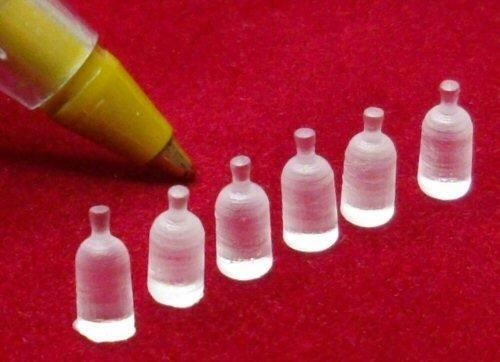 Last picture shows some finished bottles.